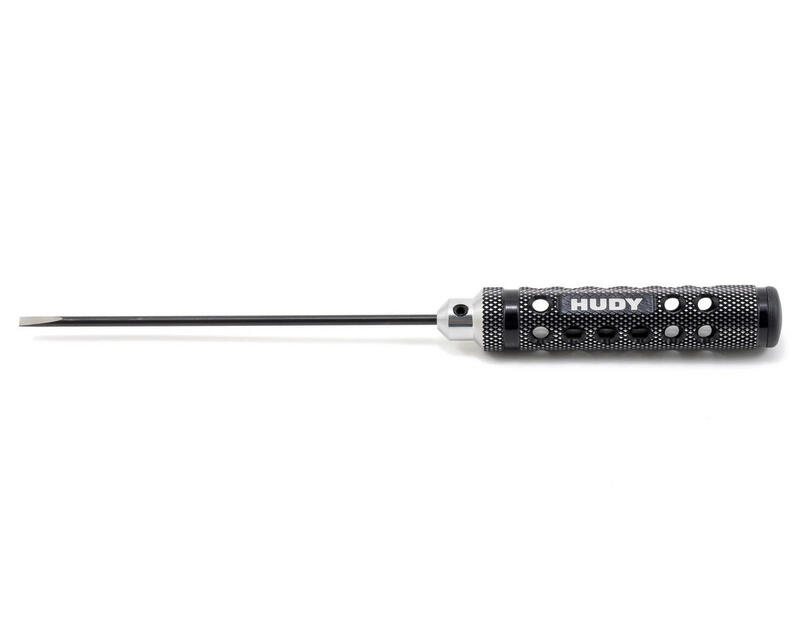 This is the Hudy Limited Edition, 3.0mm "Long" Slotted Screwdriver. Featuring a super-lightweight CNC-machined Swiss 7075 T6 aluminum handle with a diamond pattern surface for unsurpassed grip, and a 150mm tip for access into those hard to reach areas. 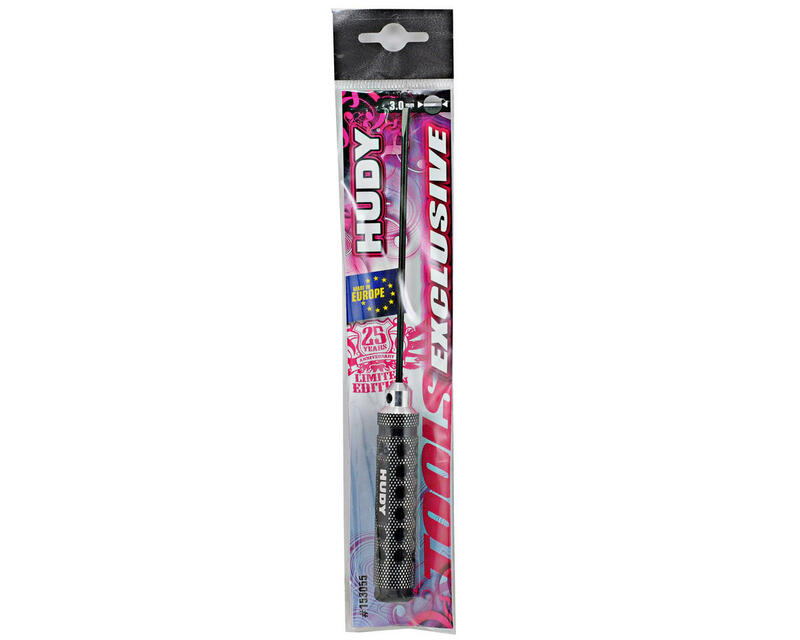 The handle includes a black plastic cap press fit into the handle end. Optional color-coded plastic caps (violet, red, blue) are available to customize the tools to your specifications.